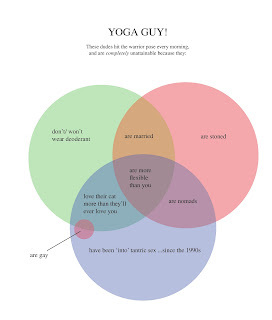 But you, yoga guy, are a rare exception. Despite your crunchy interests, you appear to have high standards for both your health and mental well-being. 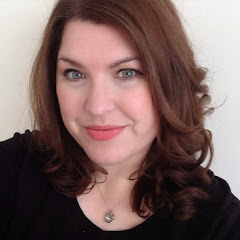 After dating around Philly in a dirty dive bar, late-night Wawa hoagie bachelor wasteland, your existence makes me want to run up and down Broad Street and give high-fives to strangers. How can I not like a boy that wakes up early just to stretch? You're clean, you eat well, you probably help old ladies cross the street, wear clean socks and like to hold hands; the same hands I am certain you will always wash after going to the bathroom. You also get bonus points because, unlike the rest of your peers, you know that Fritos and PBR aren't their own food group. Well played, Yoga Guy. You're also in good shape and spare me the Darth Vader-y sound effects when running up my stairwell. What a dreamboat! I think guys who do yoga are interesting, but I would never date one! I wouldn't either, but it seems to do it for Bianca! I find it surprising that the gay contingent for guys that do yoga is so small. I would assume the chart was more like one giant circle that said "gay guys" and a much smaller circle that said "guys that like looking at half-naked girls while appearing sensitive"
come on, we don't all fall into those categories, but regardless, that gay guy circle should be way bigger.